This is a subject that we seem to be covering a lot at the moment as pets are becoming increasingly attractive targets for theft. At the beginning of this month we reported the news that West Yorkshire had the most dog thefts outside of London, and just last week research showed that this area has also seen a 40% rise in cat thefts with only London and Kent experiencing more. While the actual number of reported thefts are reasonably small – 261 between 2014 and 2016 nationally – as many as 360,000 adults are said to believe that a cat has been stolen from their care in the last 12 months. The discrepancy being that many thefts are not reported. While cats are obviously more inclined to go missing than dogs due to their roaming nature, there does seem to be a worrying trend of thefts. There are a number of reasons for stealing cats: specialist breeds like Siamese, Bengal and Russian Blues are taken to sell on and domestic short hair cats can be taken to breed or, tragically, as bait for fighting dogs. 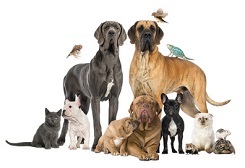 While cat and dog thefts are the most common, many types of animal are at risk. Birds are particularly vulnerable as they can sell for large sums of money. While we featured a story last week about the parrot that foiled a burglar, unfortunately most bird thefts don’t have such a positive outcome and a valuable grey parrot was stolen from Bradford just last week. Other pets often stolen are tortoises, lizards and snakes. Any burglary is devastating but most belongings can be replaced. A treasured pet cannot and knowing its potential fate is heart breaking so we would urge you to do all you can to prevent it. We can help with burglar alarms, locks and CCTV to help keep your animals, and your home, secure. Call us on 0345 833 5543 or call into our security shop in Wakefield for some face to face advice.